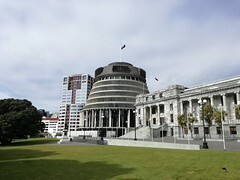 WELLINGTON – New Zealand may soon step up against large multinational businesses arranging their affairs to skip paying taxes in the country. On December 8th the Taxation (Neutralising Base Erosion and Profit Shifting) Bill was introduced into parliament in New Zealand. The bill will, if approved, help control the occurrence of tax evasion and avoidance committed in New Zealand by multinational companies. The newly proposed rules are based on similar rules enacted and proposed around the world for combating tax evasion and base erosion. The key points in the bill revolve around aggressive tax planning and the misuse of intercompany loans, hybrid mismatches, artificial arrangements, and illicit transfer pricing practices. LONDON – Both developed countries and developing countries are loosing out on tax revenues due to a continued lack of progress in fighting international tax avoidance. Large multinational businesses are still using international tax rules to avoid paying taxes in the countries where they raise profits, according to information contained in a new collaborative report released on November 10th by Tax Justice Network, Oxfam, Global Alliance for Tax Justice and Public Services International. According to the results in the report, in 2012 US multinational businesses shifted as much as USD 700 billion of profits to jurisdiction with not corporate income taxes. The level of profits shifted is equivalent to approximately a quarter of the total profits earned. CANBERRA – Australia’s largest companies are actively taking steps to lower avoid their taxes, with 14 percent of companies paying no taxes at all. Approximately one third of the companies in the Australian ASX 200 pay an effective tax rate of less than 10 percent and 57 percent of the companies have subsidiaries in secrecy jurisdictions, according to the result in a new report issued on September 30th by the independent group United Voice. The experts of the United Voice noted that alongside the 29 percent of companies which pay less than 10 percent tax on their earnings, another 14 percent of companies pay no tax at all, while the headline tax rate of 30 percent.